The controversial music event application had attracted thousands of mixed responses. 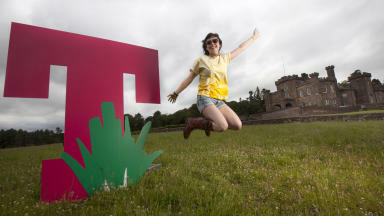 T in the Park bosses have been given the go-ahead to relocate the huge music festival to Strathallan Castle Estate in Perthshire for the next three years. 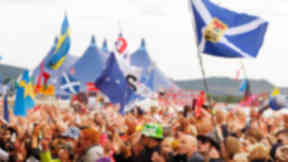 Perth and Kinross councillors approved a planning application requesting permission to stage the three-day event next to Auchterarder from July 10 to 12 - with only two months to go. The decision comes after months of controversy, claim and counter claim from both sides of the debate. Plans were thrown into jeopardy when a pair of ospreys, which are protected under law, began nesting next to Strathallan Estate, soon followed by another male osprey in a second nest. The birds moved in despite attempts by organisers DF Concerts to usher them to a new site by building a new nest further away from Strathallan. 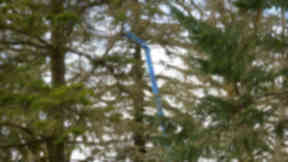 In scenes that twice saw police called to the site, organisers clashed with opponents over tactics used to try and divert the birds, which provoked the the ire of wildlife campaigners including TV wildlife presenter Chris Packham. DF Concerts has always maintained that wildlife preservation is a priority and employed a full-time ornithologist at the site to monitor the birds. The festival's founder, Geoff Ellis, told the meeting on Tuesday that T in the Park is a "rite of passage" and part of the fabric of Scottish culture with more than one million people attending over 22 years. Strathallan Castle Estate owner Jamie Roberts added: "It's our life's work to save Strathallan Castle T in the Park helps us safeguard it and the estate's jobs. 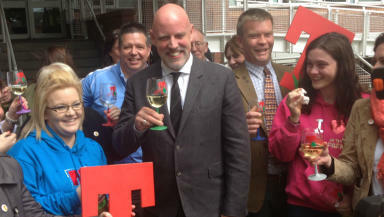 "It's important to me and my family that the benefits of T in the Park extend beyond our estate to the surrounding community." Alexandra MacKintosh, an objector of the festival, told the meeting: "There are huge risks associated with this application. The first osprey management plan failed and events that arose from that plan are currently under police investigation. "The second plan is inadequate. Do any of you genuinely believe the ospreys will still be on their nest the Tuesday after T in the Park?" She added: "DF Concerts has put Perth and Kinross Council in a very difficult position by selling tickets in advance of getting planning permission. Because DF Concerts has failed to do their research and continued with plans the debate has become about the survival of the festival and not the suitability of the site." Two public consultations on the application have been held with some environmental groups and local residents being critical of the plans. They claim the festival will have a detrimental impact on wildlife in the area and believe traffic management will be a problem. 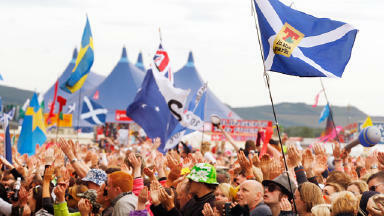 However, a pro-T in the Park group, named CommuniTITP, was also set up representing the residents who want the festival to relocate there. The group has put up hundreds of signs and banners around the area and circulated a petition which has attracted almost 2000 supporters. The chief planning officer backed the event, which attracts up to 85,000 revellers per day, earlier this month calling for councillors to approve it for the next three years. Councillors unanimously approved the plans at a meeting of the management and development committee on Tuesday morning, with no amendments. After the meeting, Mr Ellis said: "We’re happy that the committee has approved our application and our team can get on with the plans for a fantastic first year of T in the Park at Strathallan Castle. "We’d like to thank the business and tourism sector who recognise the value of the event as one of Scotland’s national treasures and offered tremendous support throughout the process. "Most importantly, massive thanks go to the local communities surrounding Strathallan who spent a huge amount of their own precious time to show the country that they warmly welcome T in the Park. "We do also understand that not everyone wanted the event at Strathallan but we would hope that these people now accept the decision following what has undoubtedly been the most rigorous and intensive process for staging an event in Scotland's history."